Welcome visitors to North Bloomfield Assembly of God Church. This website is to help us strive to bring God glory through singing, hearing His Word preached, loving Him and loving one another. We are a church that welcomes and accepts everyone as they are, where your mind is nourished as much as your soul. We’re glad that you’re here. 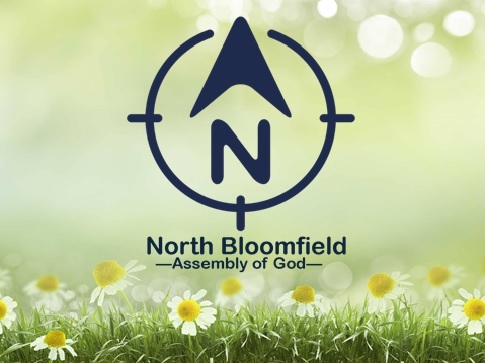 We invite you to spend some time getting to know us, and we hope that you’ll come away from this site encouraged to join us at North Bloomfield Assembly of God this week.